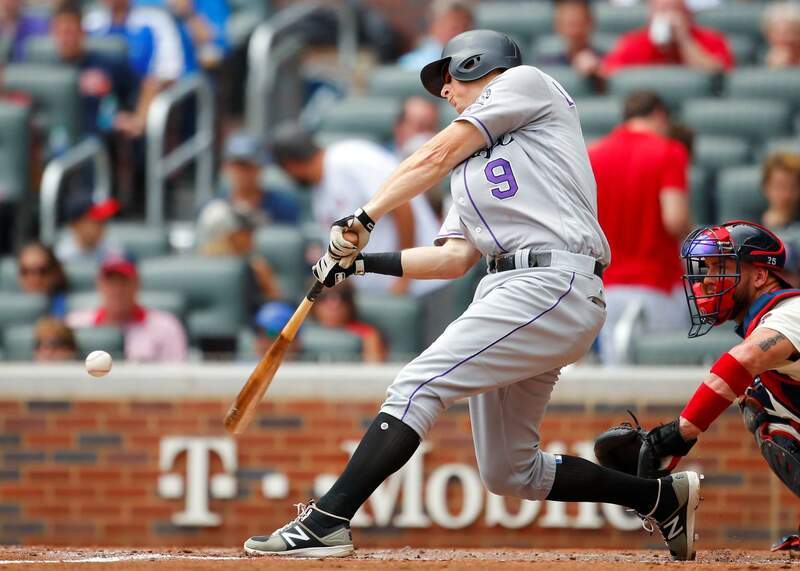 Colorado Rockies’ DJ LeMahieu (9) hits a solo home run in the third inning on Sunday against Atlanta. 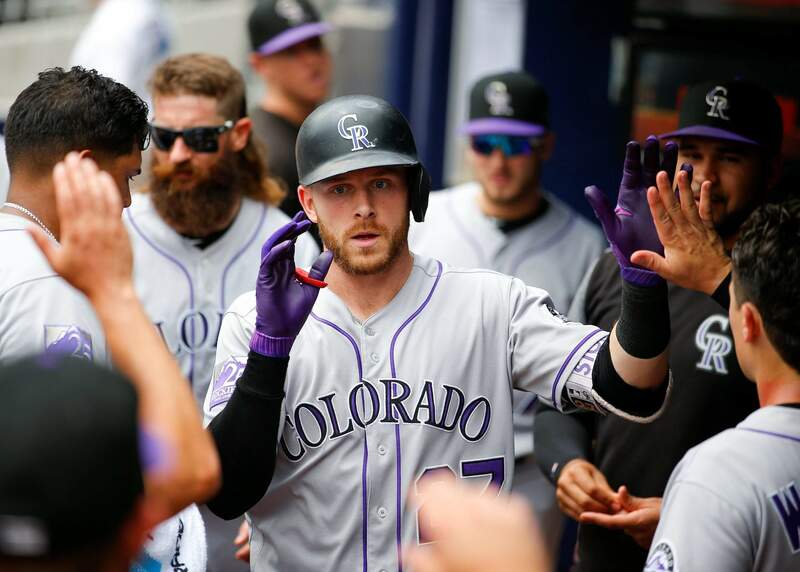 Colorado Rockies Trevor Story celebrates hitting a solo home run with teammates in the dugout in the second inning Sunday against Atlanta. ATLANTA — DJ LeMahieu and the Colorado Rockies are quite comfortable on the road. Even against baseball’s best teams. Marquez (11-9) won his fourth consecutive road decision. He allowed two runs and five hits, struck out five and walked one. STREAKS ENDBraves rookie Ronald Acuna Jr. was 0-for-4, ending his 11-game hitting streak. His team-record streak of reaching safely in nine consecutive plate appearances leading off a game also ended with his fly ball to center in the first. WEST WOESThe Braves fell to 9-18 against the NL West this season. They are 40-19 against NL East teams. ROAD KINGSThe Rockies improved to 37-29 away from Coors Field. They have won their last four series in Atlanta; the Braves won two of three in Colorado from April 6-8. UP NEXTRockies: LHP Tyler Anderson (6-5, 4.39 ERA) tries to bounce from a rough outing at Houston when he gets the ball in the opener of a three-game series against visiting San Diego on Tuesday night. The Rockies are 16-5 at home since July 2.